Striata, a leading provider of email bill presentment and payment solutions has partnered with IHS Telekom, an ICANN accredited registrar and systems integrator to bring eBilling and eStatement solutions to local banks, utilities and telecommunications companies in Turkey. The agreement was signed on 06 January 2012 in Istanbul. 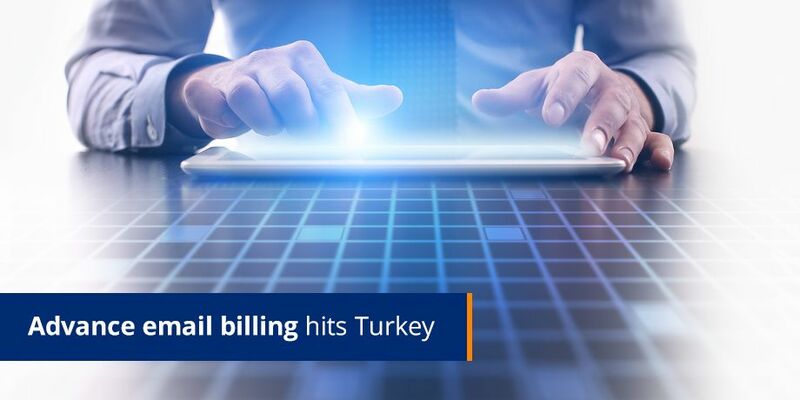 This significant development for industries in Turkey brings advanced email billing to the country for the first time. “Traditional methods of sending bills by paper or pulling customers back to websites have, until now, been the only option available to billers. Striata’s partnership with IHS allows us to bring value-added push email billing and payment services to this market. IHS has the market experience and is well networked to successfully introduce Striata’s innovative services to utilities, telcos and financial institutions in Turkey,” says Michael Wright, Striata CEO. Striata’s innovative eBilling solutions are geared to meet the requirements of the emerging eBilling market in Turkey. Billers will now be positioned to offer their customers convenient eBills delivered as secure PDF’s via email. Adoption of the email bills is built into the billing process, with an electronic consent splash page covering the first bill to encourage customers to go paperless and receive their first bill in just one click, no registration required. The Striata next generation interactive PDF Bill solution delivers an added value experience for the end user. It offers consumers the convenience of facilitating payment directly from within the PDF email bill – it requires only one click to open the bill and one click to pay it. Furthermore, the PDF bill enables navigation, multiple ‘virtual pages’; sorting of data; interactive graphs; grouping of data; animations and videos. This interactive functionality enhances the customer’s billing experience, which in turn assists billers drive email billing adoption and ultimately, paper turn off. This results in reduced operational costs and the convenient payment functionality reduces DSO (days sales outstanding) while the entire solution delivers a significant ROI. IHS Telekom founded in 1999, is an ICANN accredited registrar and one of the leading web hosting, domain registration and SSL Certificates provider in East Europe. IHS Telekom also as a Systems integrator provides fraud mitigation, authentication and security consultancy services to financial institutions & large enterprise via its System Integration department. Being an ISO 9001:2008 quality certified company, IHS Telekom meets international standards for ensuring customer satisfaction.